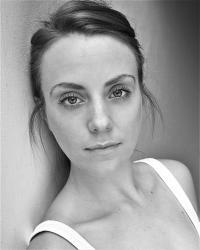 Victoria Tyrrell trained at Drama Studio London having gained a scholarship, and has since focused on pursuing her passion for the stage. She has most recently been performing for Wales’ National Theatre and presenting her weekly TV series Show Brazil for Sky 203’s ‘My Channel’. Her stage credits include Sum Zero (Hammersmith Lyric), Awkward Turtle Flips the Bird (Chapter, Cardiff), Lauren in The Audition (Barons Court Theatre), Natalya Stepanovna in The Proposal (The London Theatre), West End Songbook (Kenneth More Theatre), National Tours for Frantic Theatre, and performances for Future Cinema. Screen work includes short films, commercials, regular presenting on Sky 863’s SmartLive Casino and various other corporate clients. As Victoria turns 27 she will be playing the role of 14-year old Wendy in Peter Pan at the Richmond Theatre this Christmas!